It’s easy to think of CRM as simply a sales and marketing tool. In fact, for the digitally forward organization, the CRM system is the heart of your company’s customer engagement endeavors. Each interaction with your customers across every touchpoint can be stored in your CRM system – providing a unique view into your customers’ behaviors. 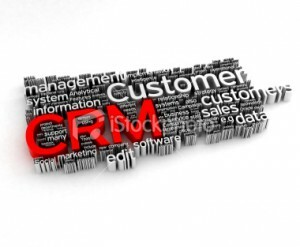 Analegy’s team helps our clients determine the hows and whys of CRM. That way, you can be assured that your CRM system will enable insights that result in more successful campaigns. Your customers are distracted. From offline to online, they’re swamped with messages baiting them to buy. For you to cut through the clutter, you have to deliver personalized messaging and unique customer experiences. Achieving that is dependent on having data you can use to craft communications that are unique to your customers’ specific needs. When used effectively, your CRM system can provide your organization with the ability to capture customer data and then use that data to become better informed about what drives your customers to action. Whether your focus is on customer satisfaction, customer retention and loyalty, or customer experience, your CRM is a pivotal tool to gathering the information you need to make smart decisions.